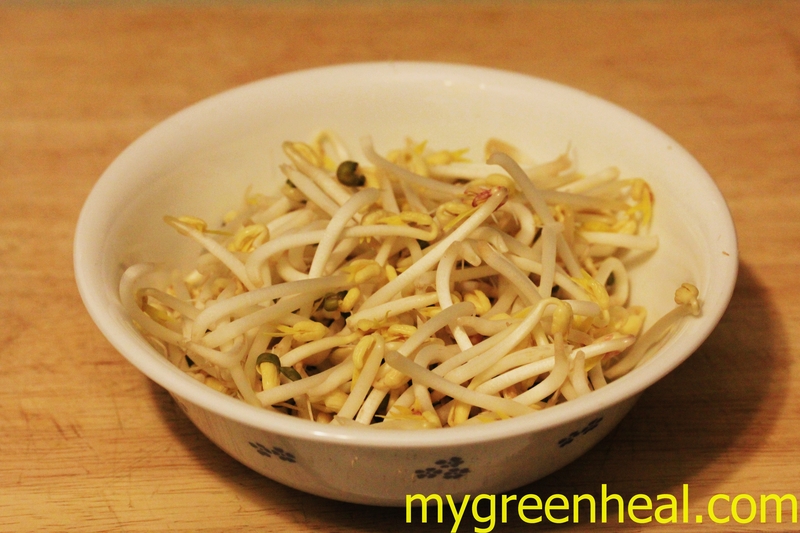 Bean sprout is cheap, healthy, easy to make and easy to cook. 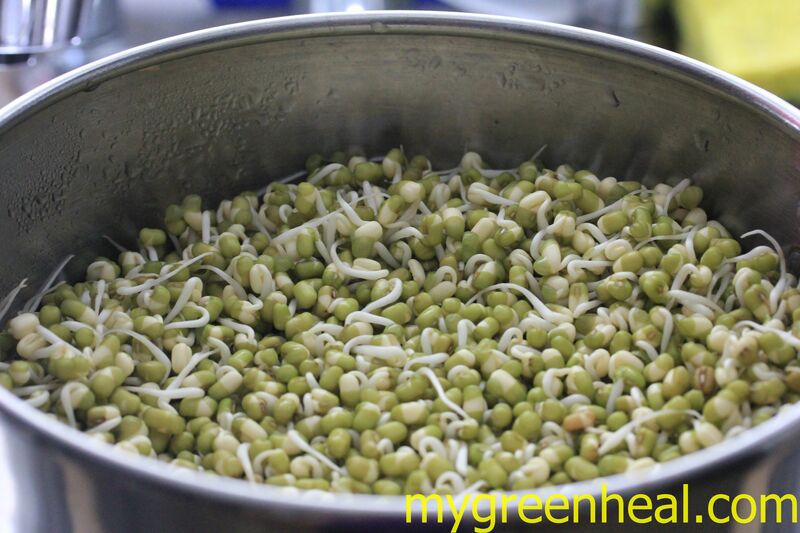 It is very popular in Asian countries and you will be surprised to see that bean sprout can be ate with any meal. This green guy can be found easily in Chinese, Japanese, Thai, Vietnamese, Korean cuisines… you name it. Since bean sprout is easy to digest, healthy, full of vitamin A, vitamin C, vitamin K, iron, protein, I am sure you will not feel disappointed to have it in your kitchen. And all the housewives will go crazy if they know that bean sprout helps to boost their husbands’ fertility aid as well as sexual strength. Also if any person in your family has gas problem from eating beans, let’s switch to eating bean sprout and this will avoid the problem. 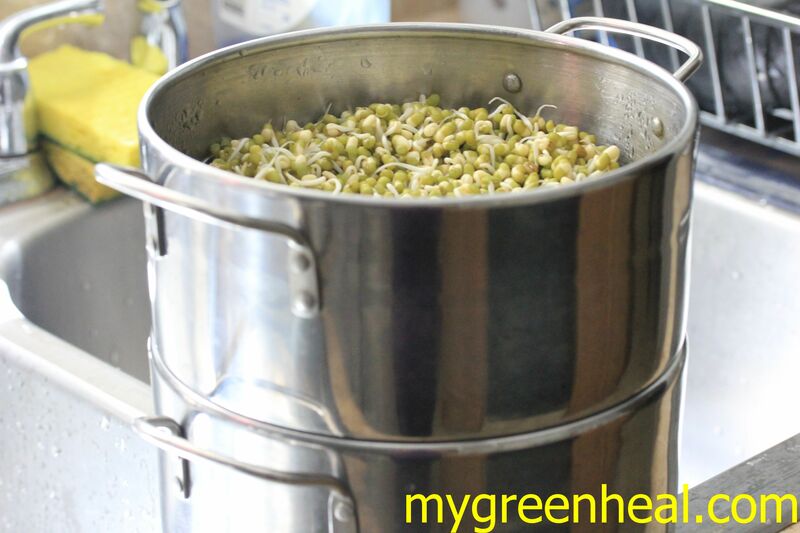 My husband and I also use bean sprout as pre-workout snack since it does fill the body with water and nutrition. This is the amazing diet food if you are looking for low carb as well. 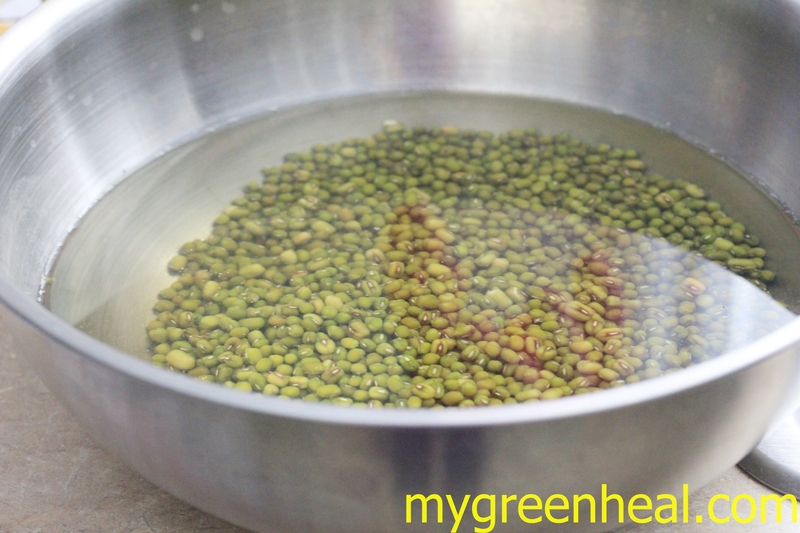 Use a steamer, put the mung bean in the top layer, rinse water twice a day. Note: if you want your bean sprout to be fat and big, use a heavy plate or bowl, put on the bean sprout. After 2-3 days, your bean sprout should be ready. Depending on your room temperature, it can be fast or slow. The warmer the room is, the faster it grows.